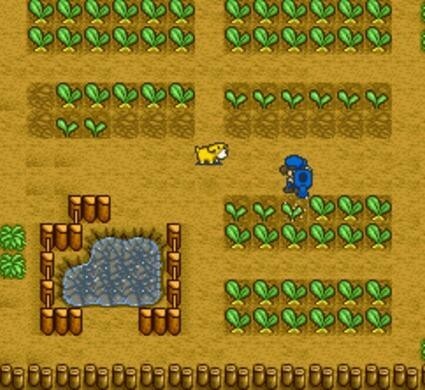 Before The Sims came and revolutionised gaming with real-life simulation, back in 1998 the SNES had Harvest Moon. Taking on the role of a young farmer, you have to grow crops,livestock and a family to succeed in this revolutionary and forgotten game. Starting with virtually nothing but the bare essentials you build your farm up by purchasing livestock to sell their produce,growing crops to sell for profit and buying building materials to make your farm. This doesn't all happen by magic though, careful time-keeping and money watching is the key to this game and if you don't set a routine in your day you're not going to succeed. The game has four thirty day seasons and ever changing weather so consulting the weather forecast is a must to keep your farm active. During the calendar celebration day's take place and trying to find a wife is a must if you want to create a thriving family. The game only has three areas but exploring them all at different times gives the game more depth and makes it more addictive. It's a shame this game was released just as the SNES was to be discontinued because it has great gameplay, graphics and music unlike any other for the system. Original copies of the game are extremely rare and if you own a complete copy treasure it. However the game has been released for the virtual console meaning people haven't got to fork out a small fortune to play this classic gem. To conclude Harvest Moon is a must have for any RPG fan. With addictive gameplay, great graphics and a virtual console release it is a game every SNES owner should have.A pioneer in Real-Life gaming Harvest Moon is the SNES final curtain to the gaming world.